Registration has opened for America's Most Beautiful Bike Ride at Lake Tahoe. This is one of the rides that circles Lake Tahoe. This is a nicely organized ride with full support, well stocked aid stations and of course, spectacular scenery. The date is June 3, 2012 but you have to sign up soon because this event sells out early. You can choose among 3 ride options; 100 mile, 72 mile, or 35 mile ride with boat cruise. The prices are $115, for the two longer ride, or $130 for the 35 mile “fun ride” with boat cruise. America’s Most Beautiful Bike Ride promotes the Lake Tahoe Bicycle Coalition, the group whose mission is “to promote livable and sustainable communities by encouraging more bicycle/pedestrian-friendly facilities and promoting educational programs in which residents and visitors can safely and conveniently ride and walk or a more frequent basis. These are the guys raising money for the Tahoe bike trail around the lake. Registration for the Tour of Carson Valley will open on February 1, 2012. 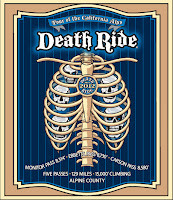 The date for this ride is June 26, 2012. This ride offers full support and offers 3 distances; 44 mile, 20 mile (bike and hike), and 11 mile beginner ride. The rides start and end in the town of Genoa. The 44 mile ride leaves Genoa up Fredricksburg Road and climbs up Carson River Road to a rest stop at Woodfords Station, then around Diamond Valley Road and returns to the finish at Mormon Station State Park. 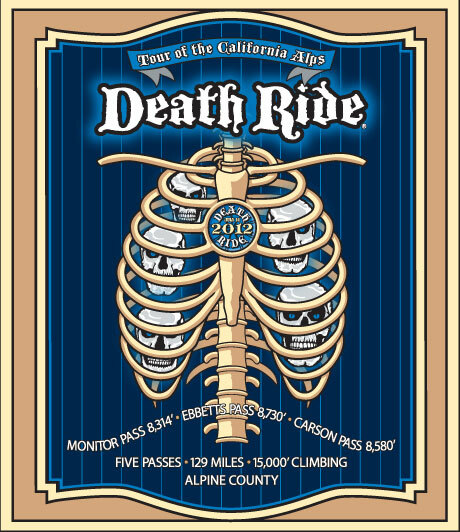 The Death Ride (Tour of the California Alps) will take place on July 14th, 2012. This event is full, but you can get in by “becoming a sponsor”, joining the Skeleton Squad (volunteer), or try the 2nd registration on March 14th, 2012 at 10:00am. In the past, there have been event day slots available at the campground at Turtle Rock Park. With the mild winter you can get out and mountain or road ride now, to get in shape for this summer’s riding.